Last week 7thingsmedia released the new-look Tekkers website. The initial website, which went live earlier this year, has been trading well with the core Unbelievable Tekkers T-Shirts currently the top sellers. We've push the new-look website to align the brand and product offering with a well designed and functional website. The Tekkers site's homepage will showcase the products via lifestyle shots of Andy Ansah plus well known footballers wearing Tekkers accompanied by a range of simple menus and tabs which it is hoped will make it easier to navigate. Thanks to everyone involved especially Hotel Creative and Sunset Design. 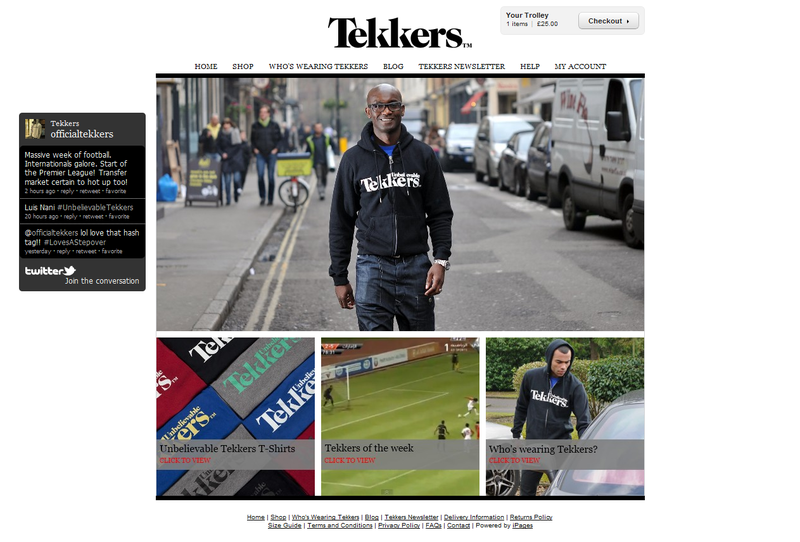 Please do check out www.tekkers.co.uk and if you do have any feedback please by all means submit them below.